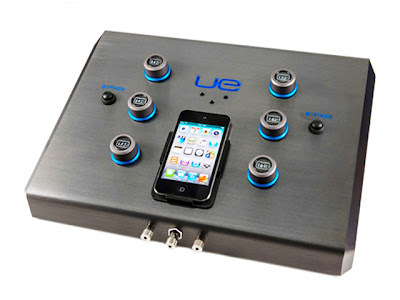 UE / Logitech has announced another custom IEM to its line-up, and this time it is more 'custom' then ever. The Personal Reference Monitor, as its name suggested, will allow individual user to pre-tune the IEM to their own liking with a special 'Tuning Box' before the IEM is made. So not only you are getting a custom molded IEM, it will be custom tuned as well. The IEM itself will be a 3 ways, 5 drivers setup, and I assume the tuning is incorporated into the IEM most likely by some kind of custom crossover circuit that is based on the individual tuning preference. The whole thing will set you back a cool US$2k - but as of now, only available in very limited places in the US. You can read Head-fi's boss Jude's impression here.